Pink is any of the colors between bluish red (purple) and red, of medium to high brightness and of low to moderate saturation. 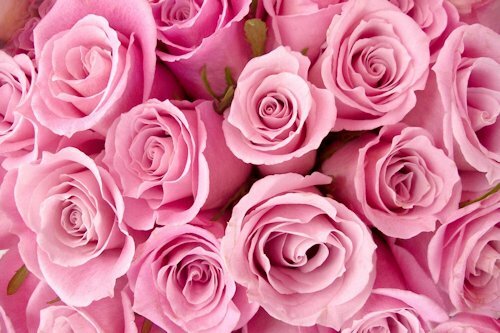 Commonly used for Valentine's Day and Easter, pink is sometimes referred to as "the color of love." The use of the word for the color "pink" was first recorded in the late 17th century. Although pink is roughly considered just as a tint of red, most variations of pink lie between red, white and magenta colors. This means that the pink's hue is somewhat between red and magenta.